Virginia was born on October 21, 1926 in Milwaukee, WI, the daughter of Leon and Florence (Rozewicz) Brzezinski. She graduated from high school in Milwaukee. Virginia married Frederick Stanaway who passed away in 2007. Virginia was a seamstress for Jack Winter clothing. Virginia is survived by daughter, Christine (Walter) Capelle of Cedarburg, WI; grandchild, Daniel; great-grandchildren, Sophia, Gabriel, and Grace; two brothers, David (JoAnn) Brzezinski of Racine, WI and Kenneth (Susie) Brzezinski of Wisconsin Rapids, WI; sister, Audrey Hafemann of Cudahy, WI; stepdaughter, Joyce Conradson of Tampa, FL; and son-in-law, Richard Capizzi of Greenfield, WI. She is further survived by nieces and nephews. 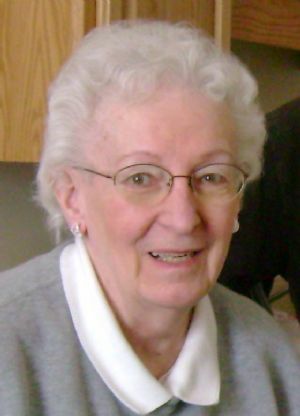 Virginia was preceded in death by her parents, Leon and Florence Brzezinski; sister, Delores; her loving husband, Fred; and loved daughter, Diane. A celebration of life for Virginia will take place in Oak Creek, WI at a date to be announced. Inurnment will take place in Woodlawn Cemetery, Ripon, WI.